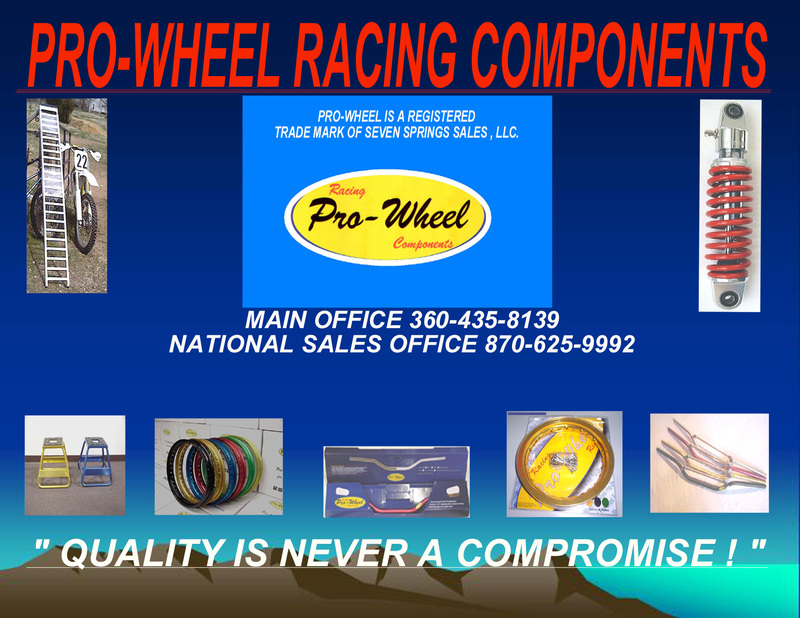 PRO-WHEEL handlebars & mounts | Pro-Wheel aluminum Rims, stands & ramps | Pro-Wheel sponsored riders | HOT !! XR 50 Racing Components !! Dealer/Distributorships welcome . Contact our National Sales office at 1-870-625-9992 , or e-mail at lbprowheel@yahoo.com for more info & pricing .